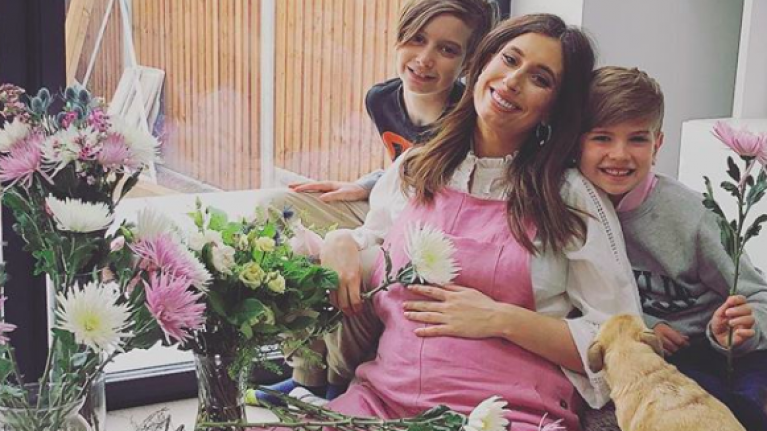 Stacey Solomon has said that her son's toilet training issues "damaged his body." The Loose Women presenter said that one of her boys experienced anxiety around going to the bathroom in public - most commonly in school - and that it affected him negatively outside of school too. The mother-of-two said she felt angry reading an article that suggested that every child should be able to use the toilet without issue by the time they're five. This came following news that a school in the UK had hired a designated nappy-changer for pupils. "One of [my sons] had real issues with going to the toilet at school," she said. "I do think that most children can at that age but I think that starting a new school the anxieties that come with it - all of these things can make it difficult for a child to go to the toilet at the right time." Stacey, who is mother to 11-year-old Zachery and six-year-old Leighton, said that she also had problems with her sons wiping themselves properly. "The teachers weren't allowed to go into the toilet with them to help or explain or to do anything," she explained. "So I then had a problem where my child wouldn't go to the toilet at school where they hold it all day and really ended up damaging his body because it was such a big deal." Stacey and boyfriend Joe Swash announced recently that they are expecting their first child together. Joe also revealed that they have indeed chosen a name for their unborn child, and that one of Stacey's sons picked it. "We have chosen a name for our baby," he said. "It wasn't my choice. There is no point in fighting it. Don't stress and you'll make yourself a lot happier." "I do like the name. One of her kids chose it. I can't say more. If I give away what we are having I will have to sleep at my mum's."